Chart a path to victory for your people by developing new advanced technologies and engineering projects and negotiating with the global community in the World Congress on critical issues. The choices you make in the game will influence the world ecosystem and could impact the future of the entire planet. Natural disasters like floods, storms, and volcanoes can pillage or destroy your Improvements and Districts – but they may also refresh and enrich the lands after they pass. 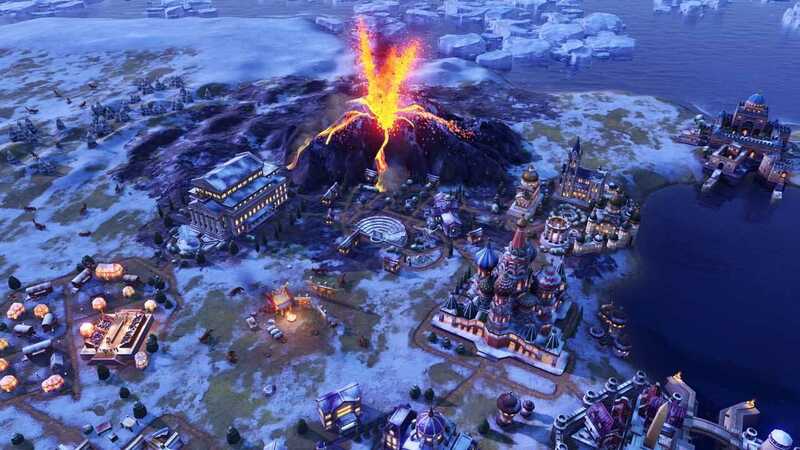 In addition to these new systems, Civilization VI: Gathering Storm introduces eight new civilizations and nine new leaders. Seven new world wonders can be constructed, as well as a variety of new units, districts, buildings, and improvements. In, the second expansion to, the world around you is more alive than ever before. In addition to these new systems,introduces eight new civilizations and nine new leaders. Seven new world wonders can be constructed, as well as a variety of new units, districts, buildings, and improvements. Strategic resources play an additional role in. These resources are now consumed in power plants to generate electricity for your cities. Initially you’ll be powering your most advanced buildings by burning carbon-based resources like Coal and Oil, but renewable energy sources also unlock as you progress to current-day technologies. Your choices about resource usage will directly affect the world’s temperature and can cause melting ice caps and rising sea levels. Copyright © 2014 - 2019 SocksCap64, All Rights Reserved. Logos, Trademarks, Pictures Belongs To Their Respected Owners. Powered By WordPress. 103 Queries in 0.686 seconds.